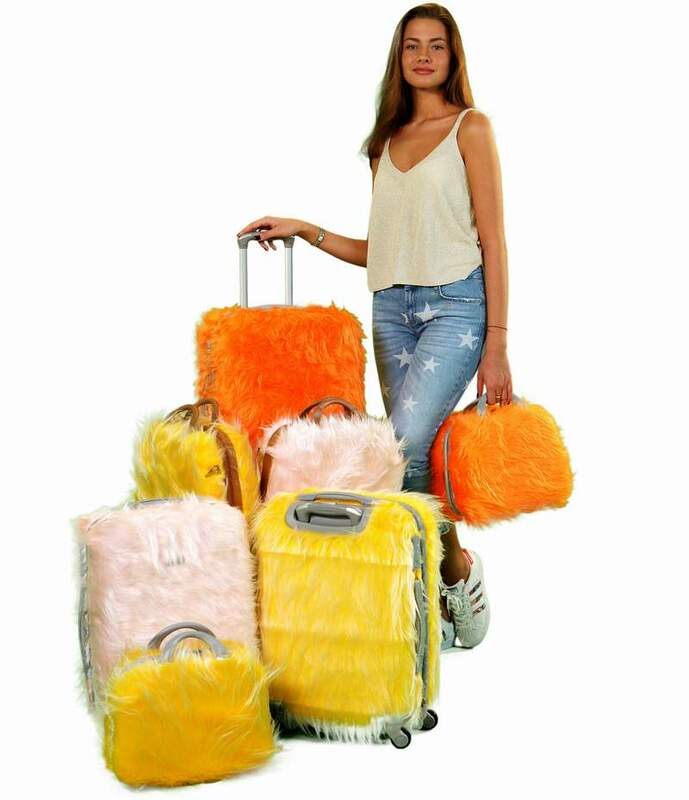 Lead Designer Igor Goose has created the perfect suitcase for any teen or woman who wants to be a trendsetter when traveling. Igor was inspired to design this gorgeous faux fur suitcase by a pair of furry slippers designed and worn by Rhianna. Lil Rose is a bag that will surely attract attention among the grey and black sea of other suitcases. Suitcase case — Made from ABS plastic. Tough, impact-resistant and durable to make your suitcase survive any airport personal. Telescopic handle — It’s lightweight, comfortable and still very durable. Zips and Inner Blocks — Made with German quality and are said to be the best in the world. Approximate lasting time is 10 years or 1000000000 zips. Outer handles — For an easy grab off baggage claim! Durable Wheels — Tested and proven to last 100000 miles without showing any signs of wear. Travel-Friendly Dimensions — Lil Rose passes the hand luggage dimension restrictions for all airlines. Most suitcases you can find on the market are just copying each other and look alike, but with Lil Rose suitcase you can be 100% sure your luggage will never get lost in the airport or any other place. Its unique style will cause lots of attention so you can’t just pass it by! They plan to produce Lil Rose suitcase and beauty case in 5 different colors from the start: Pink, Yellow, Orange, Blue, and Black. The ‘Lil Rose” will make any girl or woman smile as she will look like a Hollywood trendsetter. Check out the indiegogo campaign today and order your one — of — a kind Lil Rose Suitcase. Any girl or woman will love this high fashion bag.